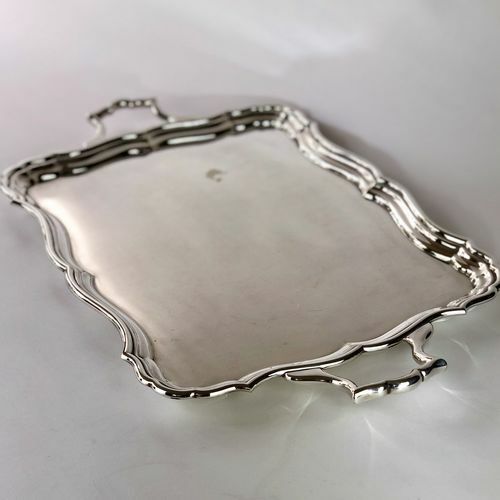 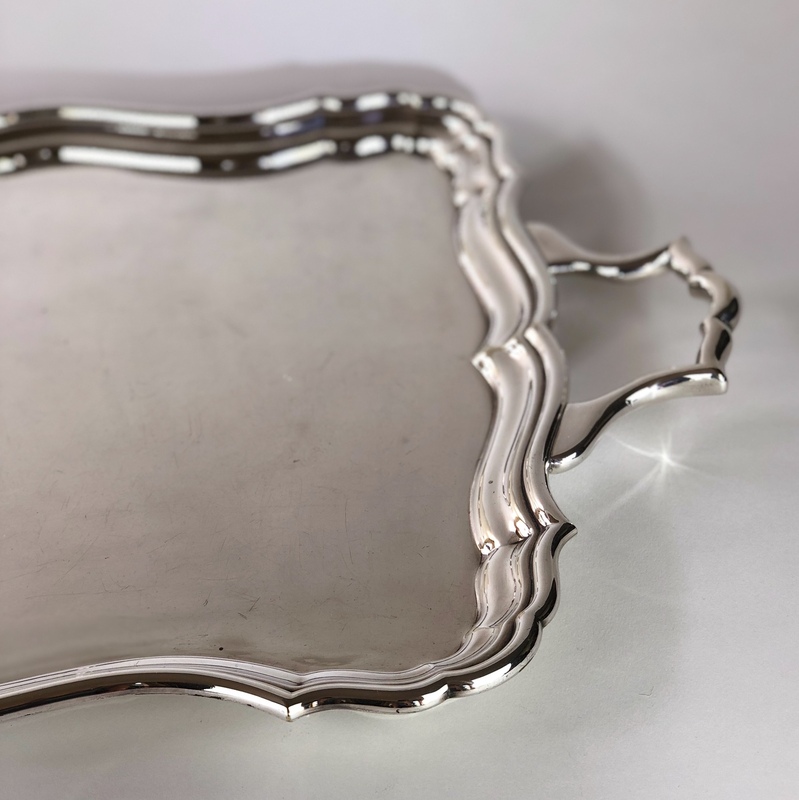 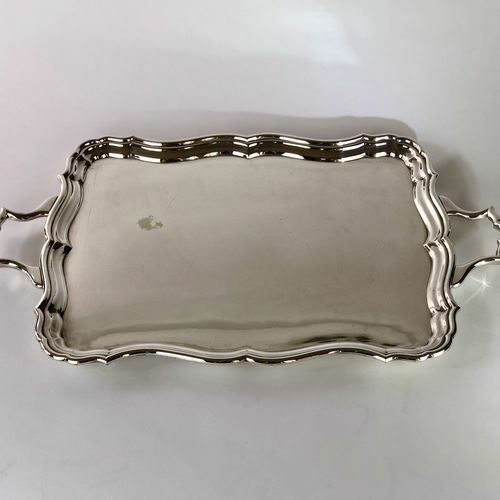 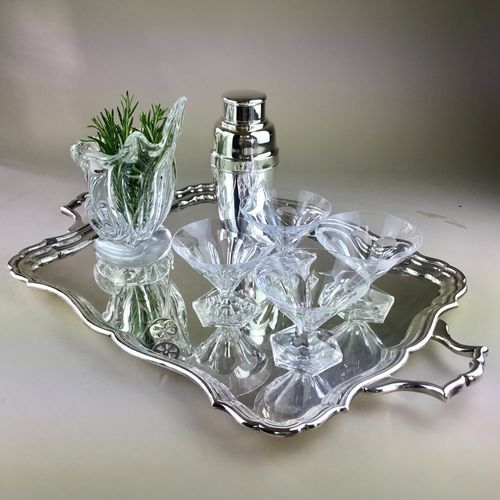 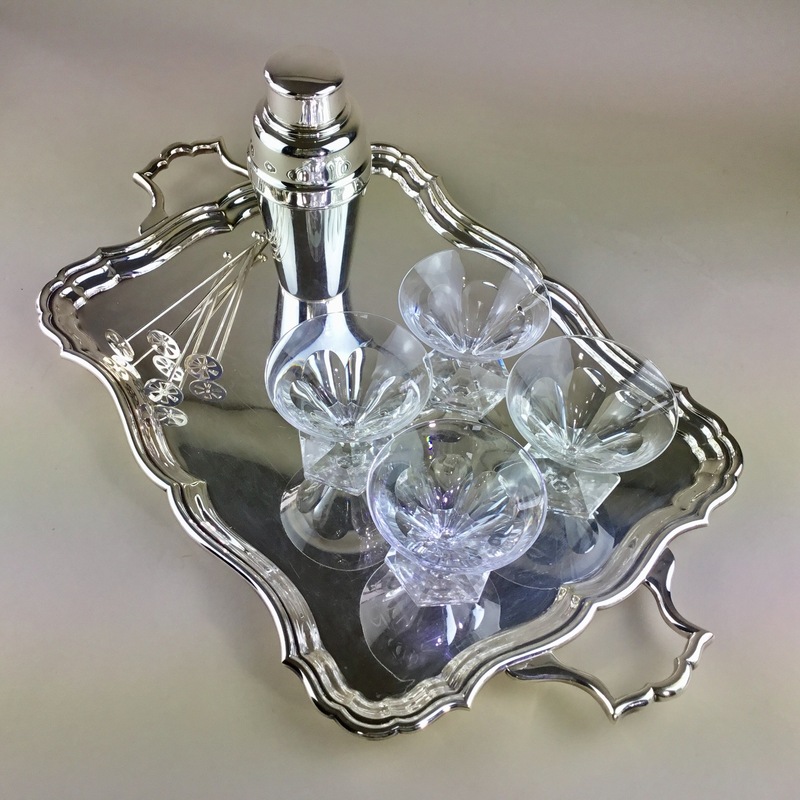 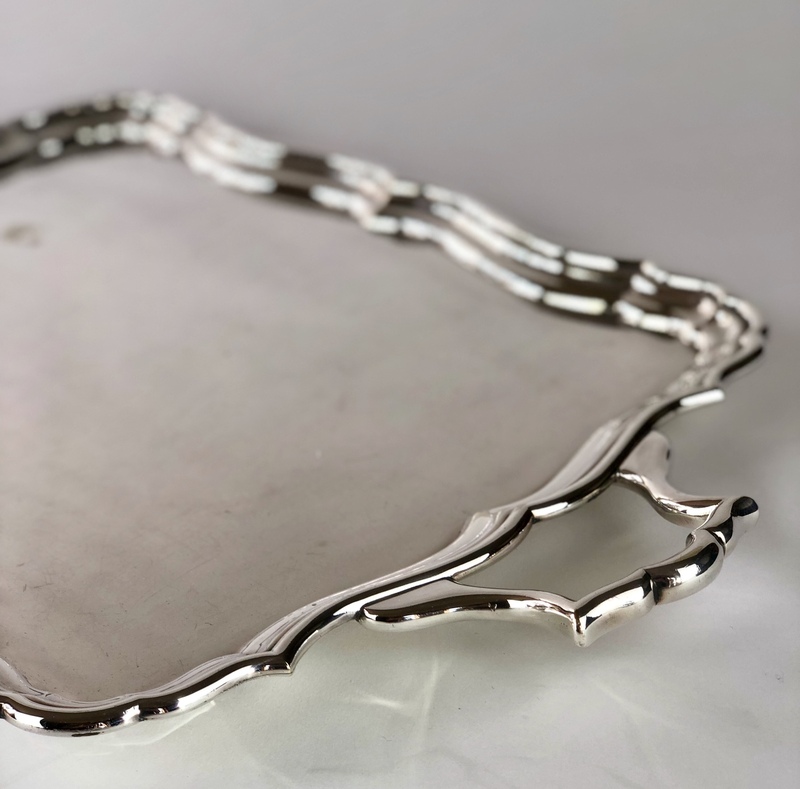 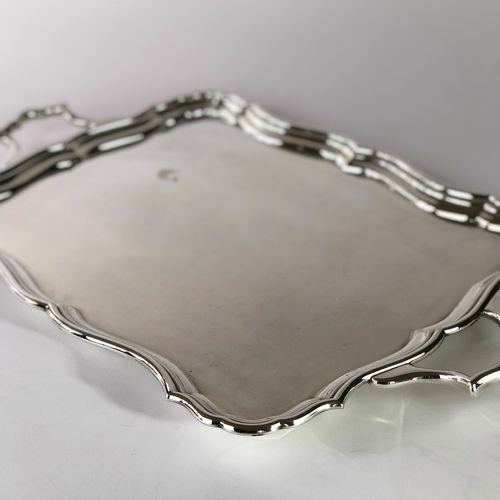 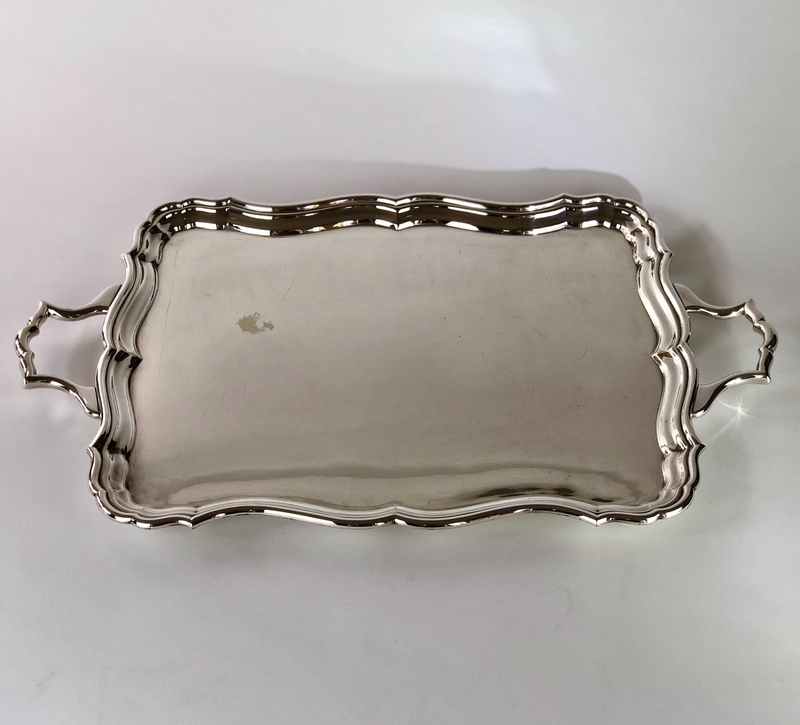 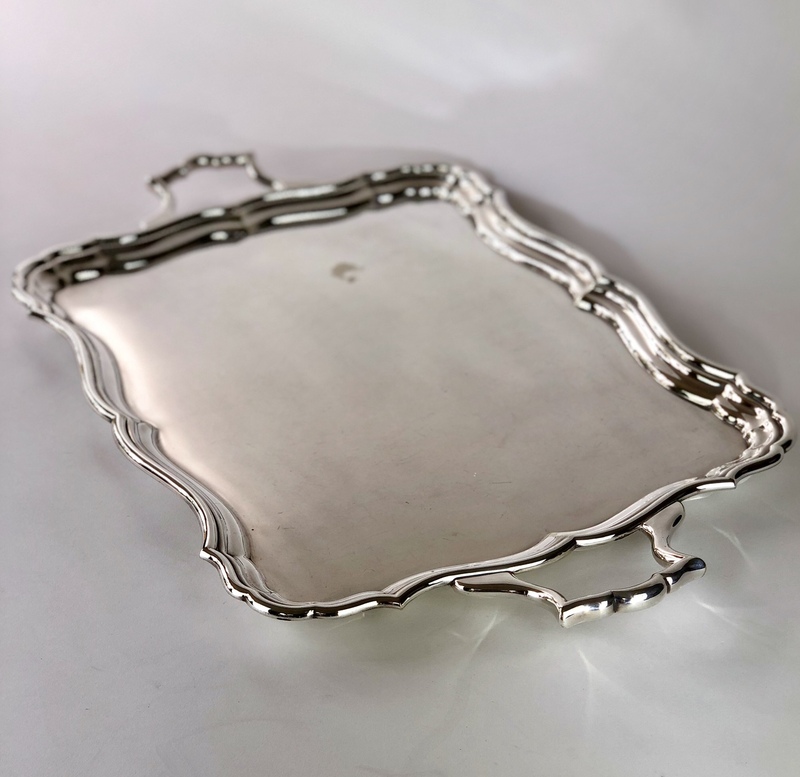 Superb heavy gauge, silver plated Art Deco serving tray by Charles William Fletcher, Sheffield Circa 1920s. 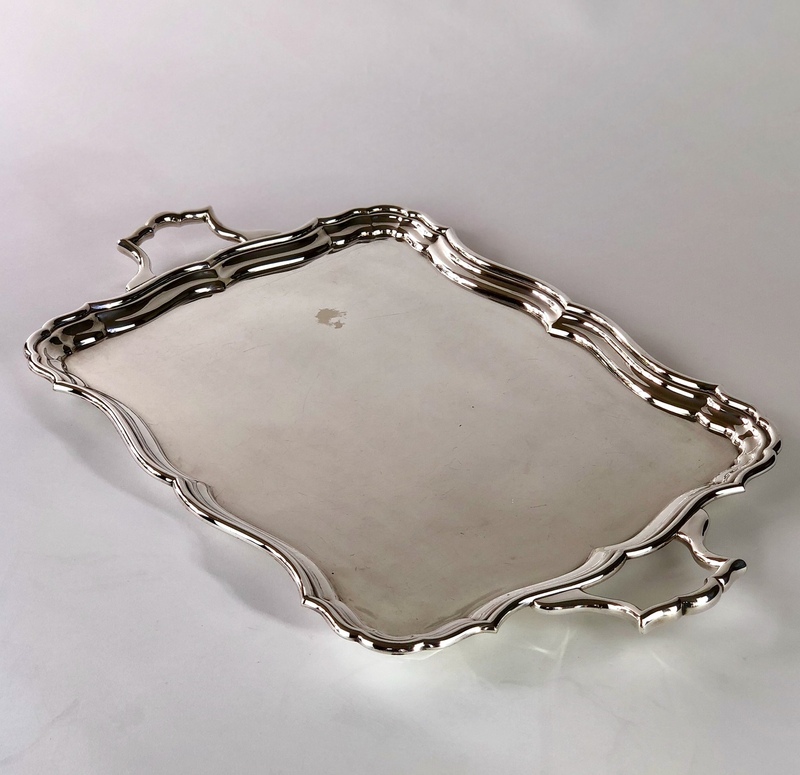 This is a wonderfully authentic drinks tray with small bun feet on the underside. 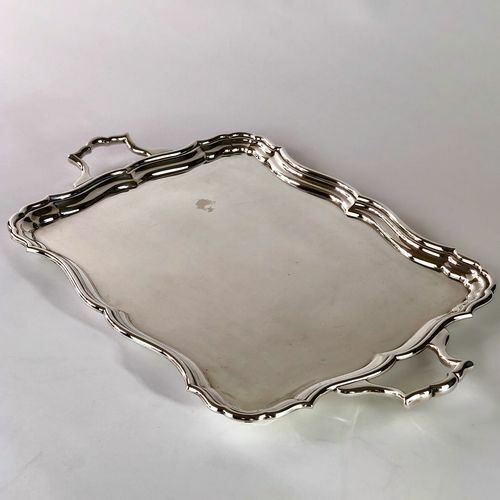 As perfect to host a home bar as to serve drinks or canapés on.